“We make it! We bake it! We grow it! 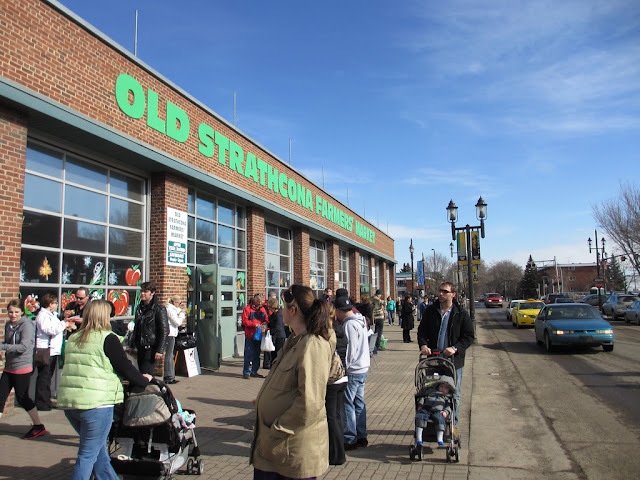 We sell it!” That’s a philosophy that the Old Strathcona Farmers’ Market has been committed to since it first began selling local foods and crafts out of a parking lot on the corner of 103 Street and 83 Avenue. There were only about a dozen vendors that first year, in ‘83, offering up locally-grown produce and baked goods, and hand-made crafts from local artisans. Three years in, the market remained just a block off Whyte Avenue, but took the show indoors, moving across the street into the “Old Bus Barns” along Gateway Boulevard. 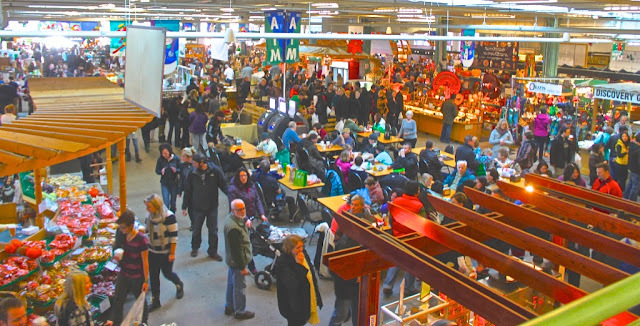 More than three decades later, there are about 300 rotating vendors - chosen through a strict jury process - that fill up nearly 190 stalls every Saturday from 7AM to 2:30 in the afternoon, and 10,000 weekly visitors make it the largest farmers’ market in the city. Although the market is year round, it is at its peak during the summer months, when buskers perform on the aligning sidewalks, customers spill out into the surrounding streets, and when you can hitch a ride aboard the High Level Streetcar that happens to stop just behind the market.